Vivo NEX Confirmed to Debut on June 12 - Playfuldroid! In March, Vivo had showcased the Vivo APEX concept smartphone with features like half-screen fingerprint scanner, pop-up selfie snapper, highest screen space and more. However, recent reports have revealed that the Vivo APEX phone may get rebranded as Vivo NEX. The promotional posters of the phone have also appeared in China in the recent past. Today, the Chinese manufacturer has confirmed the Vivo NEX moniker and it has also revealed that the smartphone will be unveiled on June 12. Here is the official launch poster. 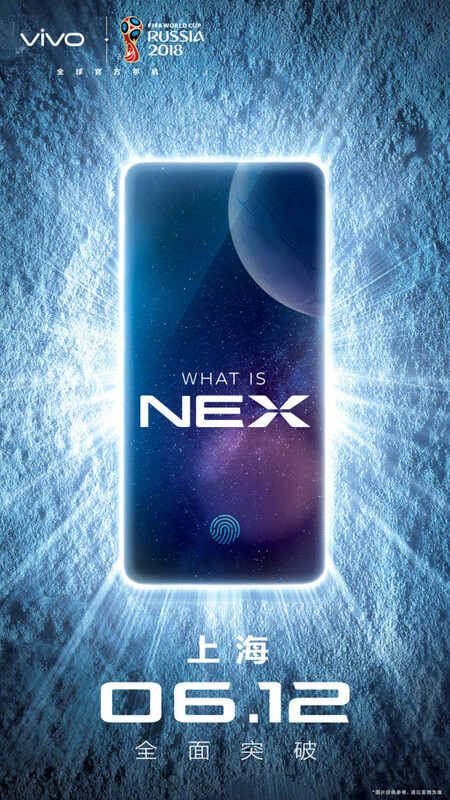 Through another Weibo post, the company claims that the Vivo NEX is a futuristic breakthrough device. Recent reports have revealed that it will be coming arriving in two models. The base variant is expected to feature Snapdragon 710 chipset, 6 GB of RAM, 128 GB of storage and a selfie camera place at the right corner of the bottom bezel. It is speculated that this model may carry NEX S moniker. The starting variant of the Vivo NEX is speculated to cost 4,998 Yuan ($779).